3D modeling transmits information from the real world into the computer using special software. 3D modeling is a procedure of 3D model development by means of special software in 3D PC graphics. It is a process of creating a wireframe model which represents the 3D object. This object can be both animate and inanimate. 3D model is creating by means of lots of dots in 3D expanse, which are connected with different geometric data, such as lines and arched surface. Many 3D models are created rendered and texturized polygon models. Polygon modeling represents a method of creating a 3D model by means of pieces crossing through dots in 3D expanse. These dots in expanse are also called tops. Polygon models are very flexible and can be visualized by means of PC very fast. Though, it’s impossible to create a very exact arched surface using 3D polygon modeling techniques. This is the easiest way of 3D objects modeling. Using geometric primitives such as a cylinder, cone, cube, and sphere we can make difficult 3D models. Such way provides an easy construction. The form of the model is mathematically exactly defined. Primitives’ Modeling is used generally in progressive 3D software applications. NURBS (Non-uniform rational B-spline) is a way of modeling which you can find in popular programs, such as Maya and 3ds Max. The developer can create exact and smooth 3D models surface using this modeling techniques, in contrast of polygon ways of modeling which can resemble exact surfaces with using lots of polygons. NURBS Modeling can create a really smooth and arched surface. Now this way is one of the youngest and perspective. By means of it, difficult 3D models with millions of polygons and with high detalization are making. Nowadays this way is used by leading studios in 3D Models production of films and games. 3d modeling is modern progressive technologies of 3d design. Three-dimensional simulation is a result of combining both architectural and designer’s abilities, style sensation with 3d graphics and 3d simulation technologies. The main virtue of 3d design is a visual rendering of an indoor scene of a flat, office, house, building and other projects. The completed 3d design creates the impression of three-dimensional space visualization, a reality of any object, interior. 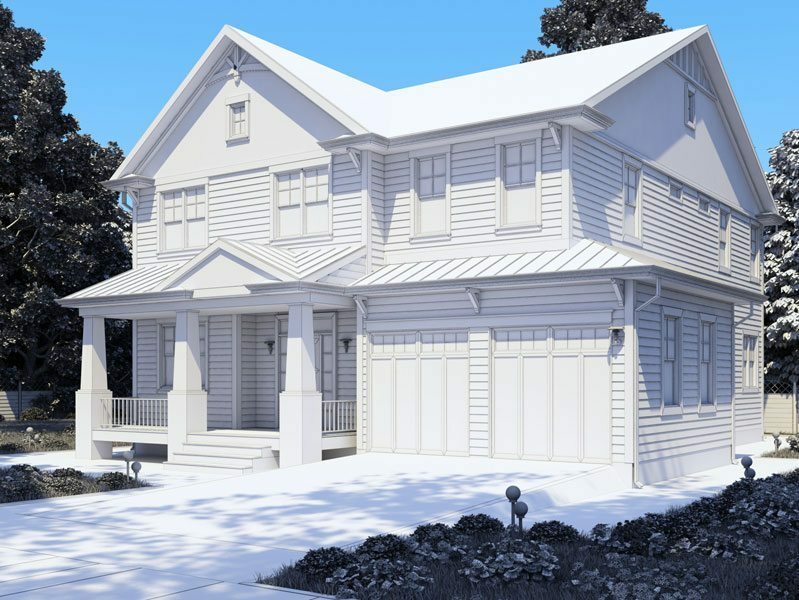 3d graphics technologies and 3d modeling are capable of bringing nearer an object in full to its real, alive condition, perceive the size of space, architectural visualization of the interior and other characteristics. Using 3d graphics before the beginning of your project’s implementation you can realize 3d modeling of the planning according to your own taste and accomplish the project in full completeness. 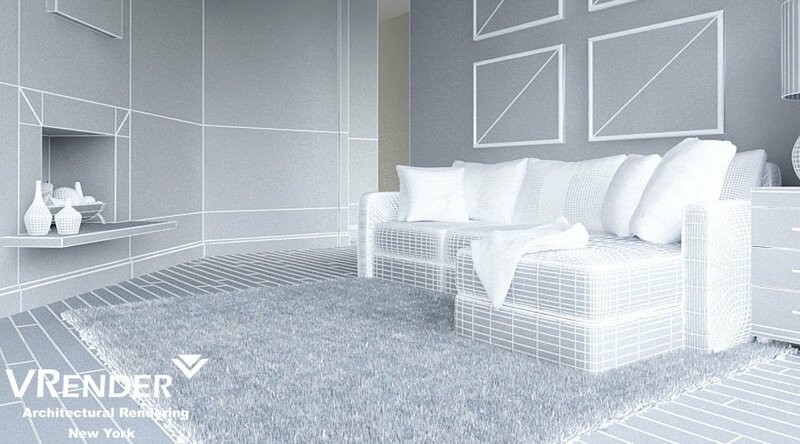 The interior visualization is a creation of building’s interior volume image with maximum realism. What for it is used? 2. in advertising booklets, presentations, etc. for representation of feasible interior design conception to potential real estate properties customers. How do you work with clients from other cities and countries? Object’s location is of no importance for us, so as a client’s presence. Our staff can communicate by telephone, email, by the use of Skype, and you can get online consultation using the function «ask a question», which is on the left part of the site. During work of our Company, many 3d design and visualization projects were created and our site offers acquainted with them. What is included in 3D modeling today? Three-dimensional modeling is the most important part of modern computer graphics today, which implies a step-wise creation of a fictitious or a real-world object as a solid model. The main problem consists of an elaboration of a visual-spatial pattern with an entire range of realistic physical aspects. There is a composition of the simulation model of every object and its future scene at the initial stage, the task of its major characteristics and then all models are grouping and positioning towards each other so, that an integral visual scene will appear. On the morrow of design graphics insinuates broadly into branches and spheres of human activities, and if design means the development of basic conception or a simple idea then computer-graphics serves to impart them more realistic lineaments, which is very important in conditions of modern reality. Industrial, engineering or 3D modeling of architectural projects differs from free creative (movie, animated cartoon, games, advertising, etc.) and distinct movement to established standards, which concerned before only plain drawing, but then were adapted to three-dimensional planning. 3D modeling allows you to examine any 2D-3D image volume model. This 3D object can be animated. The transition from 2D digital image to tridimensional was lasting for a considerable time and was time-consuming but the pregnancy of emerging opportunities and its easiness in projection, assemblage, and displacement of virtual objects, the possibility of in-depth study of their qualities and behavior in different environmental conditions served as convincing arguments in favor of 3D graphics implementation into these spheres of human life. There isn’t any architectural project or engineering development which has never used three-dimensional graphics today. Fundamentally, all 3D modeling services can be engineering modeling. There is discrepancy only in specialized fields of model development: basic principles of solid body formation at any program (design, constructive or technological) are the same, but the difference includes optional capabilities and baseline of standard elements or their qualities. Also, various problems are set before design or engineering modeling: the draftsman tries to create an object, which is close in all parameters to its prototype or capabilities of its production facilities, but animator and designer are going for formal resemblance or aesthetics. Model Rendering is a task of a particular set of qualities and also, it is a creation of images (photos) from three-dimensional model with the help of special computer programs. What is 3D Modeling? Definition of 3D Modeling?